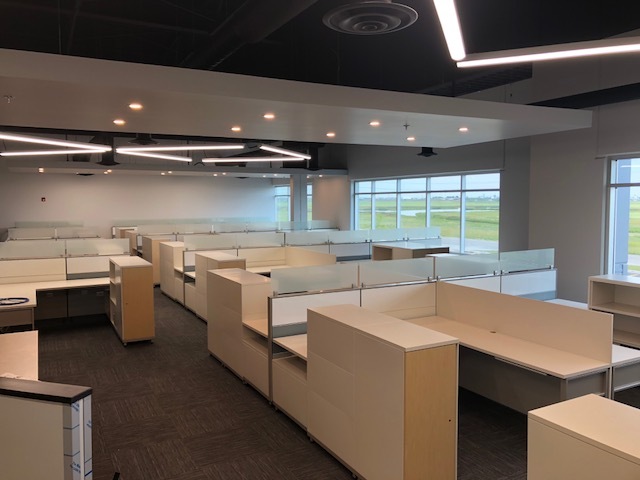 Premiere Office Furniture has experience with projects of all shapes and sizes, have a closer look below! 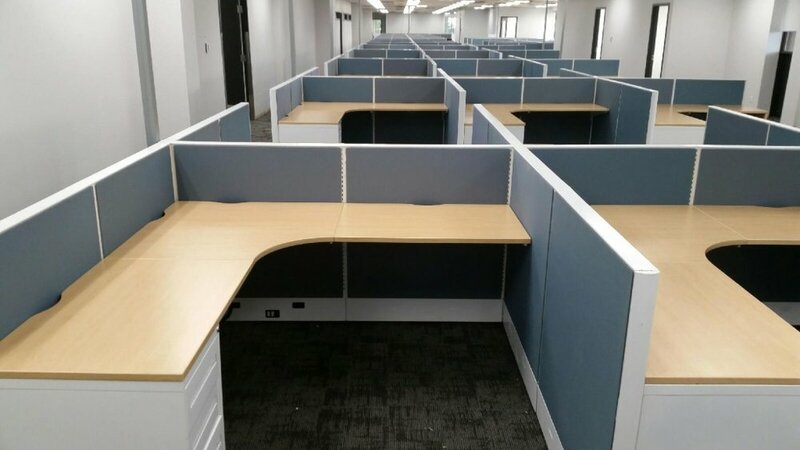 18, Sit/Stand stations and 9 straight surfaces with dual monitor arms. 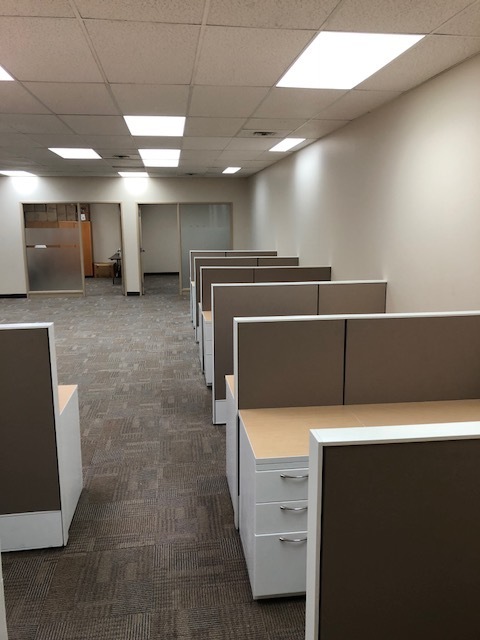 10, 5’ x 5’ AIS workstations with BBF Ped with wall mounted might height panels. 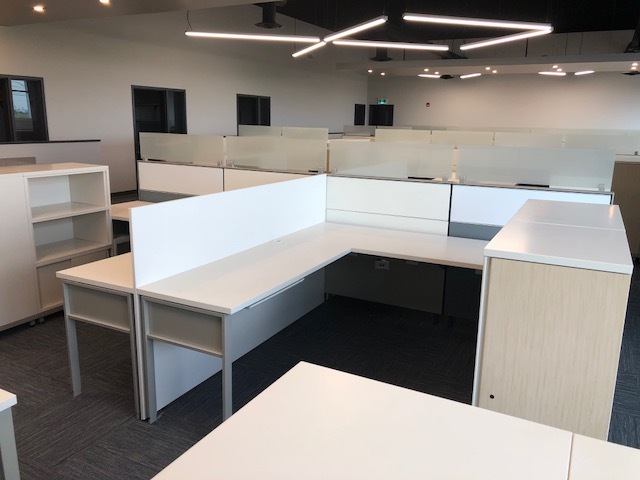 3, 6' x 7' Steelcase Answer workstations with BBF ped, 2-high lateral, accessory rail and crank height adjustable corner in a single room. 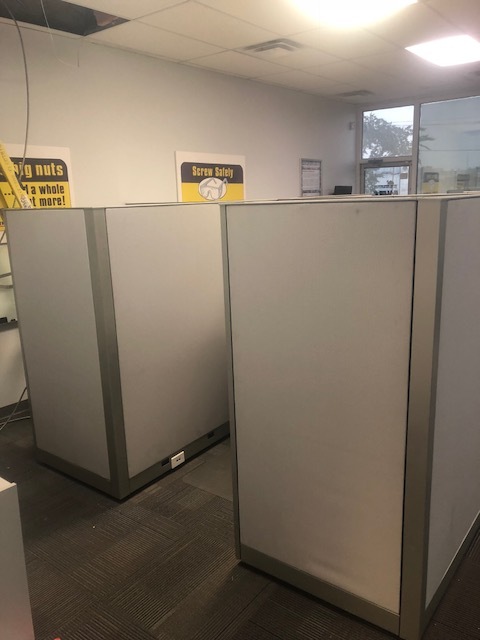 Modified from 66" & 54" tall panels to 42" tall panels throughout. 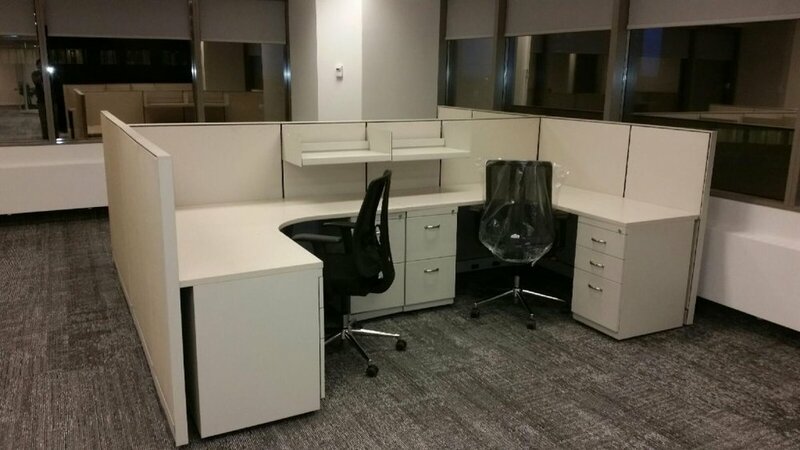 4, 6' x 6' Steelcase Answer workstations with BBF ped & shelf in a single pod. Two return surfaces retrofitted with pneumatic sit/stand bases. 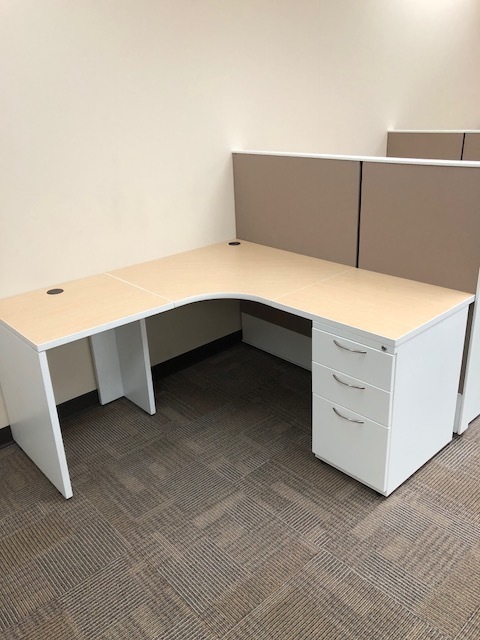 12, 5' x 6' Steelcase Kick workstations with shelf, BBF & FF peds. 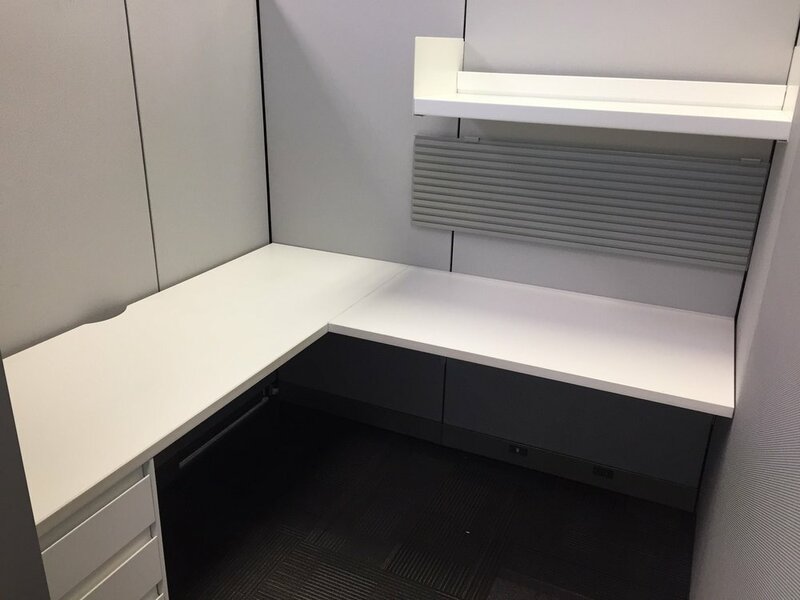 52, 7' x 7' Herman Miller Canvas Workstations with wardrobes, storage trays and open shelves. Custom sizing provided for a couple stations. 31 Private Offices with L-Shape & U-Shape configurations. 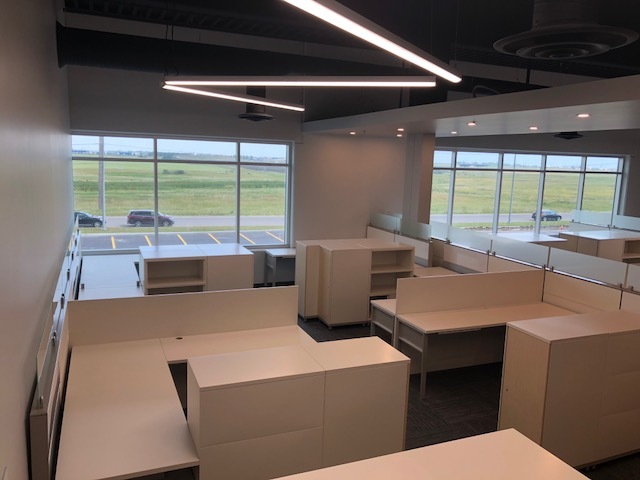 3 Meeting Rooms and Kitchen. 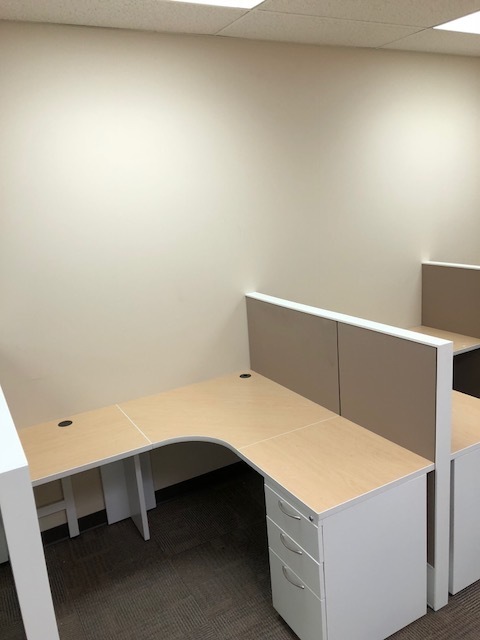 5 U-Shape desk and 1 modified L-shape desk with BF ped and wall mounted overheads. 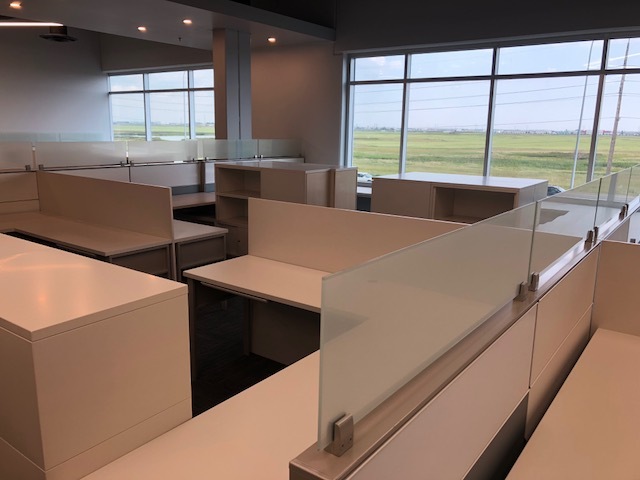 Boardroom, user and guest seating also provided. 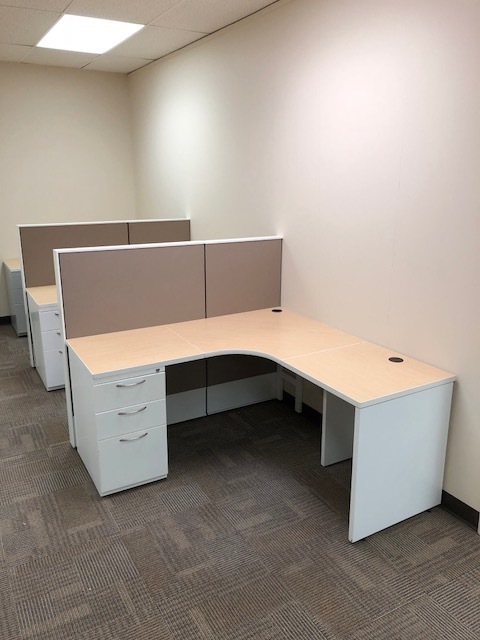 6, 8' x 8' Haworth Premiere U-Shape workstations with BBF ped, 2-high lateral and dual overheads.